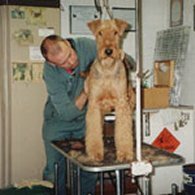 Rodney is the Airedale demonstrator for the Dezynadog 'Grooming For A Living' Roadshows and was invited by Canine Coat Care to present their DVD on Airedale grooming. 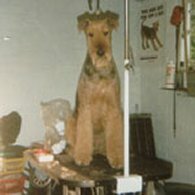 In this popular DVD Rodney demonstrates hand stripping and trimming a young dog, maintenance for a show dog between shows, and clipping and trimming a pet. 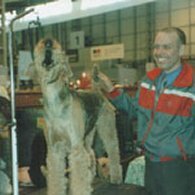 The DVD is £24.95 and can be purchased from their website www.caninecoatcare.com, click the button for an extract.